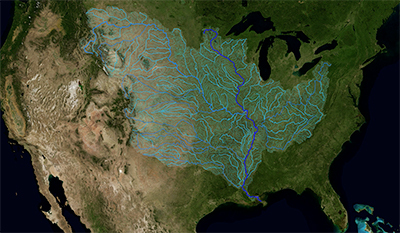 A striking NASA animation shows all of the rivers that drain into the Mississippi River. 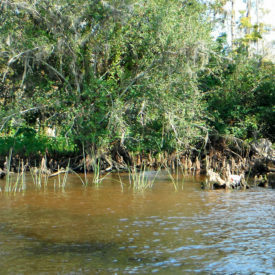 The Mississippi River drains all or parts of 31 states and two Canadian provinces, the largest drainage basin in North America at nearly one-and-a-quarter million square miles. View the animation on Fox8live.com.